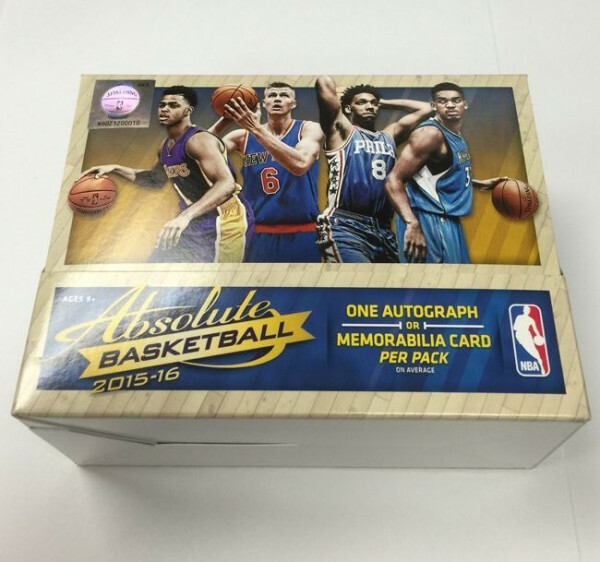 Factory Sealed 2015/16 Panini Absolute Basketball Hobby Box mit 4 Packs Per Box, 5 Cards Per Pack. 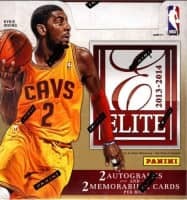 4 Autogramme oder Memorabilia Cards per Box !!! 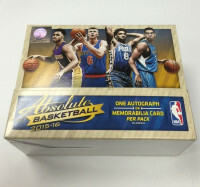 Produktinformationen "2015/16 Panini Absolute Basketball Hobby Box NBA"
After two years away from the game, Absolute is making its return to basketball at an all-new price point! Find classic inserts such as Tools of the Trade, Iconic Autographs and Frequent Flyer Materials! Absolute is jam-packed with rookie content! Look for Tools of the Trade Memorabilia Cards that feature swatches of jerseys, basketballs and sneakers! Land signatures of veterans and legends of the NBA in Three different On-Card Autograph sets! For the first time, find Next Day Autographs in Absolute! Look for short-print autographs of more than 35 rookies in this legendary insert! Find the one-per-case Glass Insert that you absolutely have to see to believe! If you're looking for rookie content, Absolute will quench your thirst. 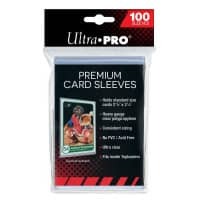 Whether it's the sequentially numbered Rookie Card, short-print Next Day Autographs, or the Tools of the Trade Memorabilia Insert, Absolute delivers loads of content of the league's newest stars! If you're on the hunt for On-Card Autographs, Absolute has got you covered. Find veterans and legends of the NBA in three On-Card Autograph sets! Weiterführende Links zu "2015/16 Panini Absolute Basketball Hobby Box NBA"
Fanbewertungen für "2015/16 Panini Absolute Basketball Hobby Box NBA"